– Drew Hunter speaking after running 3:56.72 to win the adidas Boost Boston Games mile. 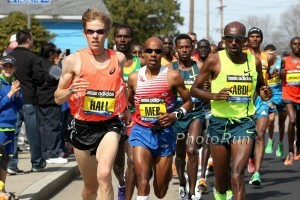 If you took any sub 2:10 marathoner and put them in a road bike race, would they be semi competitive..? 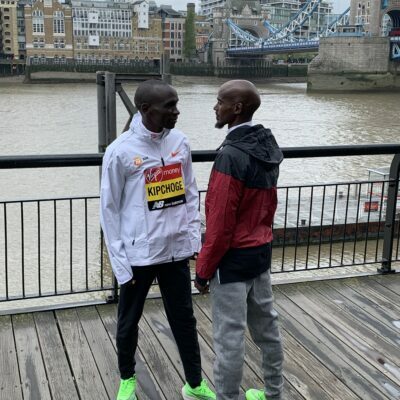 When did Kiprop start to go dirty? 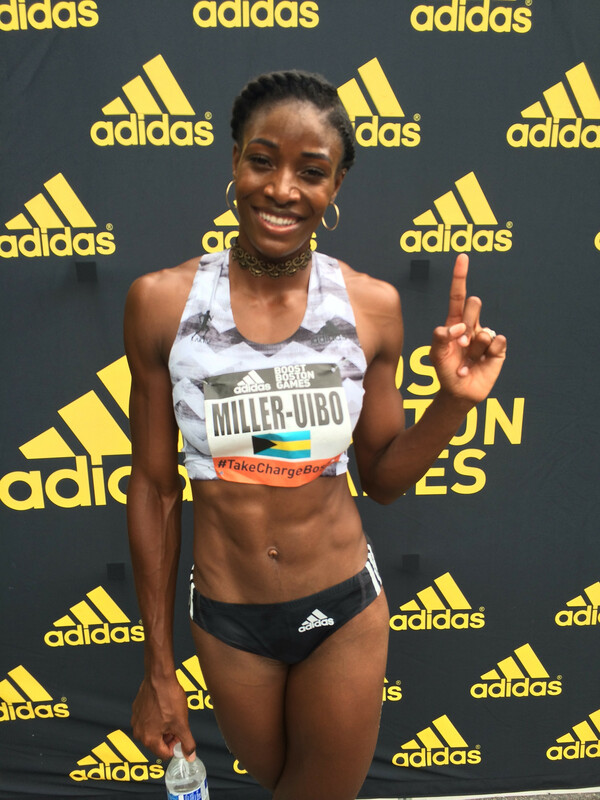 Day 2 LRC Shaunae Miller-Uibo Breaks 150m WR; Tori Bowie (11.05 100m) & Noah Lyles (14.77 150m) Grab Wins Today on the streets of Boston and world record (150m for women) and American record (women’s 200 hurdles) went down. Day 1 LRC Drew Hunter Earns His Biggest Win To Date, Ajee Wilson & Charlene Lipsey Impress On Day 1 At adidas Boost Boston Games Hunter took down some big names to win the mile, while Wilson (1:59.27 800) and Lipsey (4:04.98 1,500) both posted US leaders. Plus Nick Willis explains why even if Asbel Kiprop doped (Kiprop denies it) and it cost him Olympic gold why he wouldn’t be the biggest casualty of Kiprop’s doping. *MB: HS Josh Hoey Runs 1:48 in his record attempt Michael Granville‘s 1:46.45 seems safe. 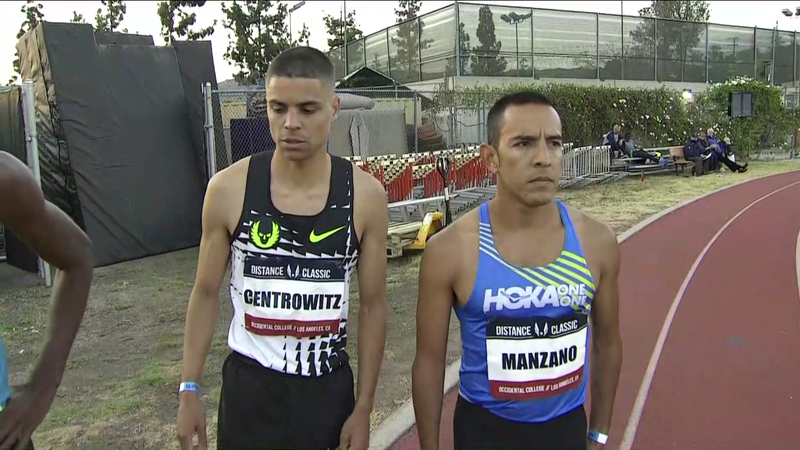 LRC Matt Centrowitz Wins 1,500, So Does Gregorek, Berian Struggles, Ce’Aira Brown Keeps Rolling: 2018 USATF Distance Recap Centro was only 5th in the 800, but he bounced back nicely in the 1,500 for the win. RRW: Johnny Gregorek Is Pumped for Bowerman Mile: “I want to really run something fast … I’m going up to Eugene now to get locked and loaded.” Gregorek ran the fastest 1,500 of the night at Oxy, clocking 3:36.95, and says he’s now ready for his first Bowerman Mile appearance. 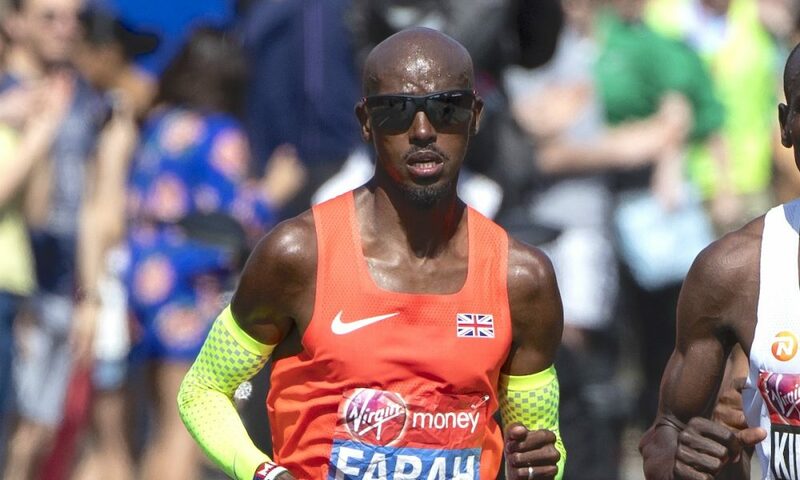 Sunday: Mo Farah And Tirunesh Dibaba Headline At The Great Manchester 10k Farah is up against former two-time world marathon champ Abel Kirui while Dibaba will have her hands full with world half marathon record holder Joyciline Jepkosgei. Saturday: Jamaica Invy Preview: Double Olympic Champ Elaine Thompson Faces Commonwealth Games Silver And Bronze Medalists Christina Williams And Gayon Evans In The 100 Shericka Jackson vs. Blessing Okagbare and 400m World champ Phyllis Francis in the 200. In the men’s 100, Kim Collins is “coming out of retirement” (he called it quits this indoor season) for one more race in Jamaica and will face US’s Mike Rodgers and Ronnie Baker. Saturday: Multi-Time Euro XC Champ Sergey Lebid Leads Field Of Europeans For The Mattoni Karlovy Vary Half In The Czech Republic Czech half-marathon record holder Eva Vrabcova Nyvltova (71:11) leads the women’s race. Christian Taylor Plans On Racing The 400m Throughout The 2018 “Off Year” Season He says a “bucket list” goal is to break the 45 second barrier and he wasn’t far off in Shanghai with 45.24. Nigeria Jumper And Sprinter Blessing Okagbare Looks Back At Her Experience At 2006 World Juniors In Beijing It was Okagbare’s first time flying and she became sick and had a terrible meet. But she said it was valuable experience for when she returned to Beijing two years later and won Olympic LJ silver. MB: 2:11 Marathoner And Flagstaff Resident Jordan Chipangama Gets 4-Year Doping Ban Chipangama tested positive on two separate occasions for meldonium. Swedish Anti-Doping Hit By Fancy Bears Hacking Attack Fancy Bears have accessed and published records of doping tests performed on Swedish athletes. Vitaly Mutko Replaced As Deputy Prime Minister For Sport And Put In Control Of Construction In Russian Government Reshuffle Remember that Mutko has been banned from the Olympic Games for life for his role in the Russian doping scandal. Proposal For Detailed Audit Of Russian Doping Crisis And An Update On RUSADA Are Key Issues At WADA Meeting On Thursday RUSADA is pretty much a guarantee to remain non-compliant as they still haven’t fulfilled two reinstatement criteria, accepting the McLaren Report and granting access to the Moscow Laboratory. 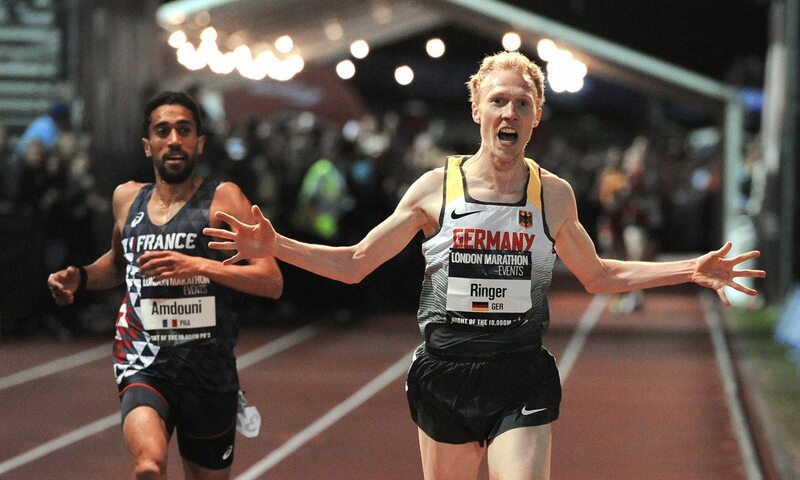 Germany’s Richard Ringer Wins European 10,000 Cup Title At The Night Of 10,000 PBs Ringer ran 27:36.52 to beat out France’s Morhad Amdouni by just .28. 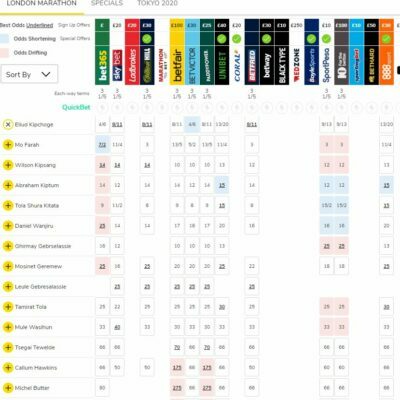 Also noteworthy was the fact that three Brits broke the 28-minute barrier in the same race for the first time in 35 years with 20-year-old triathlete Alex Yee (27:51.94) beating out Andy Vernon (27:52.32) and Chris Thompson (27:52.56). Israel’s Lonah Chemtai Salpeter WIns European 10,000m Cup In World-Leading 31:33.03 Romania’s Ancuta Bobocel was 2nd (31:43) and GB’s Charlotte Arter 3rd (32:15). 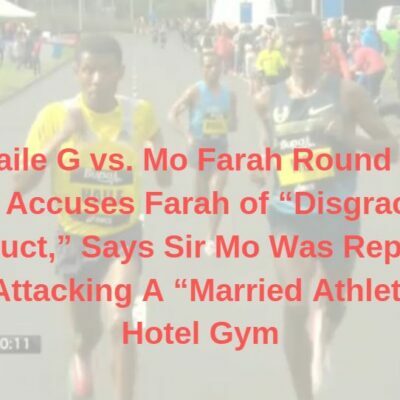 The Guardian: Mo Farah Claims He Was Frequently Drug Tested At His African Training Camps Farah says he was tested every two weeks when he was training in Ethiopia ahead of the London Marathon and that it included blood and urine. Doping aside, Farah reveals that he’ll most likely be running either NYC or Chicago in the fall. 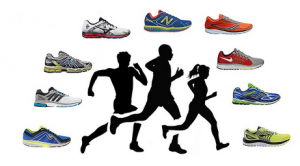 Good Read: FastRunning.com: Is Jakob Ingebrigtsen Peaking Too Soon? Robbie Britton writes that Norway’s athletes have a “prerequisite for burnout” and compares Ingebrigsten’s path to US high school/college athletes. Interesting Interview Format: Carrie Tollefson Talks With Gabriele Grunewald While On A Run Grunewald talks about coaching Chip Gaines for his first marathon and gives an update on her cancer treatment. They’re a little out of breath, but the audio is fine. Double World Silver Medalist Marie-Josee Ta Lou Beats Allyson Felix Over 150m At Manchester Street Race Ta Lou’s 16.60 was the seventh-fastest straight 150m of all-time. In the men’s 100, GB’s Harry Aikines-Aryeetey ran 10.35 to beat Richard Kilty by .02. 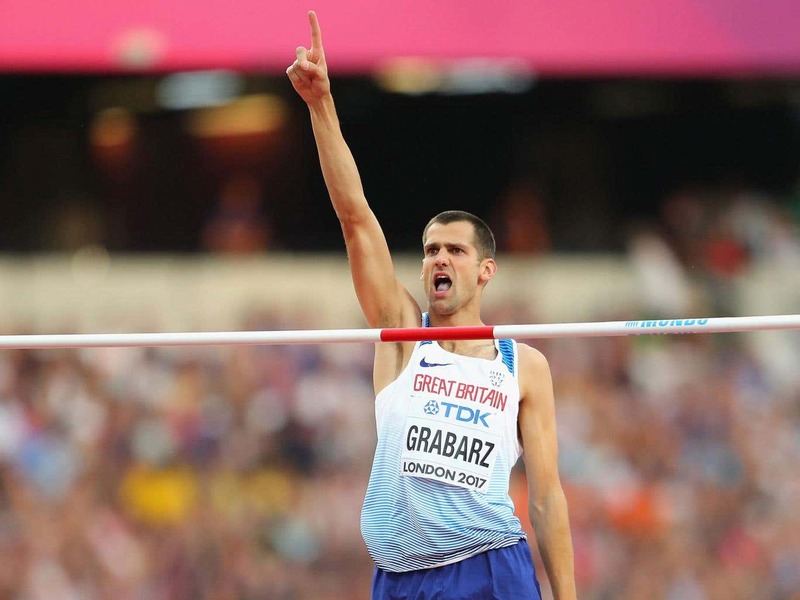 Poland’s Damian Czykier Gets Surprise Win Over World Indoor Champ Andrew Pozzi And WR Holder Aries Merritt In Great CityGames 110H Bershawn Jackson won the 200 hurdles and said that the loss of his 53-year-old father in 2016 is behind his decision to retire (again) at the end of this year. *Recommended Read: Article From February Where Bershawn Jackson Explains His Decision To Come Back For One More Year Jackson says he spoke with Bernard Lagat, Mo Farah, Sanya Richards and Justin Gatlin when seeking retirement advice. 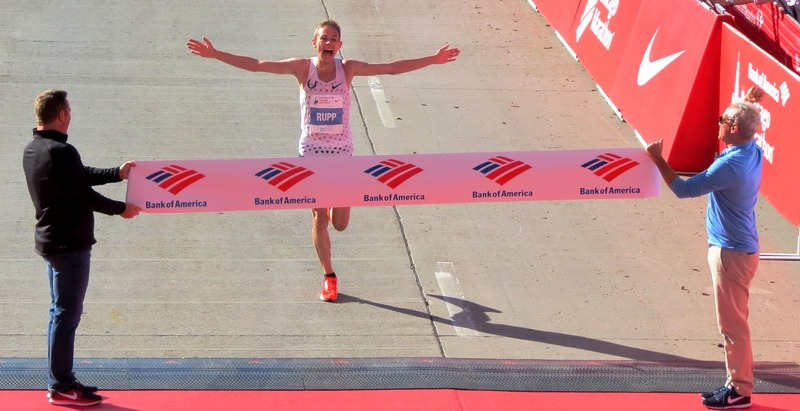 Galen Rupp Will Return To Defend His Title At The 2018 Chicago Marathon Jordan Hasay will be back as well after her third place 2:20:57 run last year. European 5,000 Champ Ilias Fifa Among Banned For 4 Years For Doping Fifa is among five Spanish athletes to get a ban in connection with drug trafficking scandal Operation Chameri. RUSADA Director General Wants Moscow Laboratory To Open So They Can Become Compliant Again Allowing access to the samples stored there is one of the requirements for reinstatement Russia still hasn’t met. RUSADA And The Russian Athletics Federation Sign Agreement To Help Prevent Anti-Doping Rules Violations The agreement includes ensuring access for doping control officials to all Russian sport venues. Report Reveals That Athletes At The 2018 Pyeongchang 2018 Winter Olympics Were Worried About Sample Tampering Apparently a couple of athletes were so concerned they broke their sample bottles after screwing the lids too tightly. 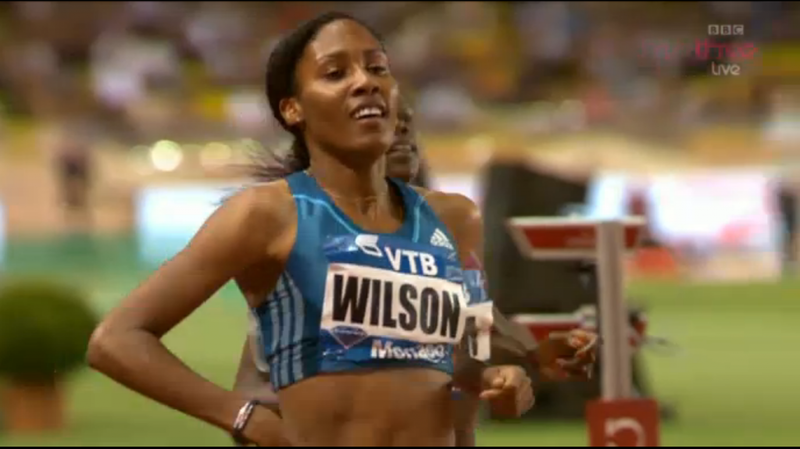 MB: Ajee Wilson Runs 4:05.18 At Swarthmore Last Chance Meet; Charlene Lipsey 4:07.73 Former NCAA mile runner-up Angel Piccirillo was 3rd in 4:16.75. MB: Robby Andrews runs 3:38 FTW at Swarthmore. 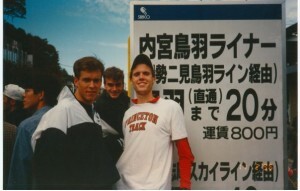 Princeton’s William Paulson runs 3:39. 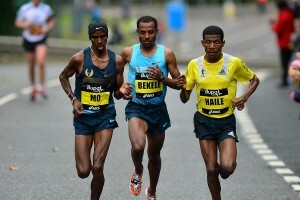 Kenya’s Alex Kibet (29:46) And Ethiopia’s Dera Dida (33:01) Win Okpekpe 10K In Nigeria Don’t put much stock in the slow times as earlier this year Kibet ran a 59:06 half and Dida a 2:21:46 marathon. Spain’s Luis Alberto Hernando Wins Record Third Successive Trail World Championships Title The Netherlands’ Ragna Debats won the women’s race while Spain took both team titles. LRC The Week That Was: NCAA Conference Madness, All Hail The SEC, A 15-Year-Old Runs 1:47 And The Hotel 4 X 100 The quality of the NCAA track and field action in the year 2018 is insane. It’s so good that collegiate superstars like Michael Saruni (1:43 PR), Grant Fisher (NCAA 5k champ), Justyn Knight (NCAA XC & more) and Karissa Schweizer (NCAA XC & more) all suffered losses at their conference championships last week. 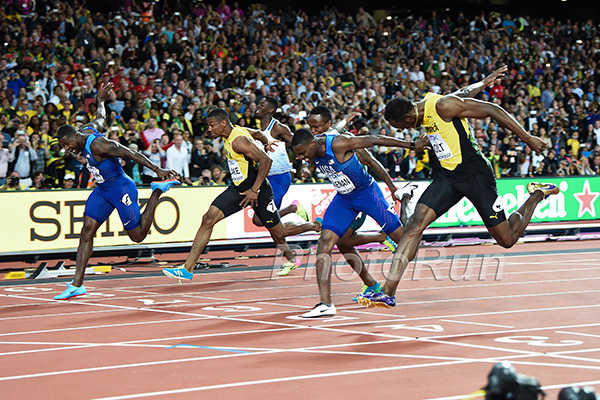 May 26: Justin Gatlin And Christian Coleman Headline Pre Classic 100m Also in the field are Ronnie Baker, Isiah Young and GB’s CJ Ujah. May 26: World Champ Phyllis Francis Vs. Allyson Felix And Olympic Champ Shaunae Miller-Uibo In The Pre Classic 400m Also World Indoor champ Courtney Okolo. May 31: 10 Diamond League Champions, 9 Word Champions And 8 Olympic Champions Will Compete At The Rome Diamond League Distance action will include Elijah Manangoi vs. Timothy Cheruiyot in the 1,500, Emma Coburn in the steeple with world champ Pierre Ambroise Bosse vs. world indoor champion Adam Kszczot in the 800. Florida Men Still #1 Ranked NCAA Team After Conference Champs Weekend Texas A&M moved up from 5th to 2nd with Texas Tech 3rd and Georgia 4th. Southern California Women Move To #1 In Updated NCAA Rankings LSU and Oregon are 2-3 while Texas A&M made a big jump up from 8th to 4th. Grant Holloway And Sydney McLaughlin Are NCAA Athletes Of The Week McLaughlin with her 52.75 collegiate record while Holloway ran a #2 all-time 13.15 to win the SEC 110H. Ex-Arizona Coach Craig Carter Gets 5-Year Prison Term In Stalking Case Carter was convicted after admitting to choking a student athlete and threatening her with a box cutter.